An apple flavoured oral paste to aid recovery from gastric ulcers and gastro-intestinal disorders. 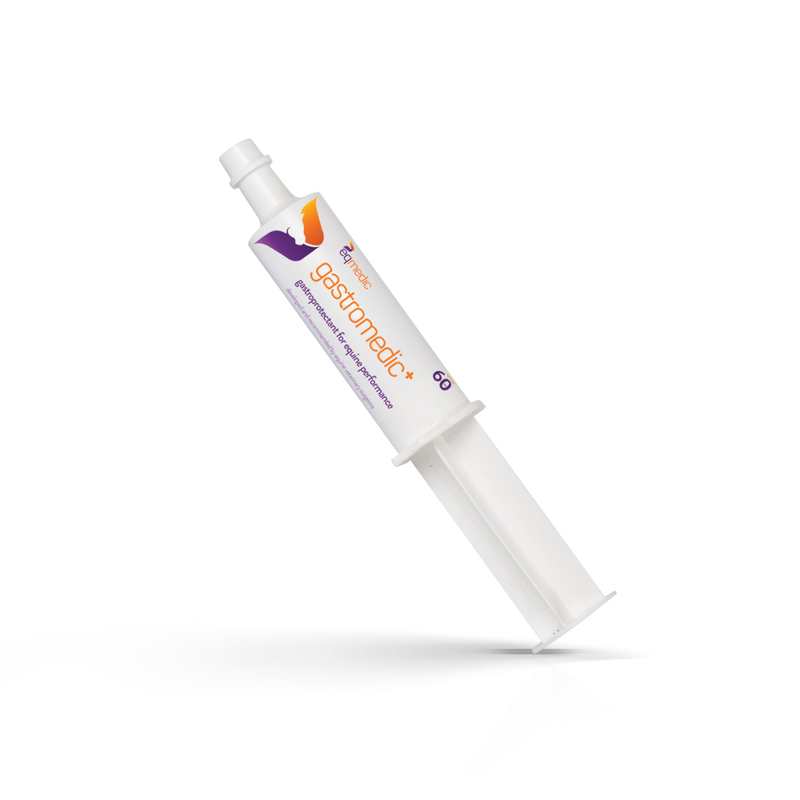 Gastromedic+ is a paste designed for fussy eaters and may help to prevent or aid recovery from gastric ulceration. It can also be used after colic surgery and other gastrointestinal disorders to aid gut comfort and promote healthy gut bacterial flora. Gastromedic+ contains Aluminium phosphate (Antacid), Glutamine (amino acid used to heal the gut wall), Fructo-oligosaccharides (food for healthy bacteria) and Aloe Vera (soothes ulcers and promotes healing). 1 syringe for a 500kg horse, given an hour before food or before exercise, if appropriate. Available in packs of 3 syringes and packs of 30 syringes.